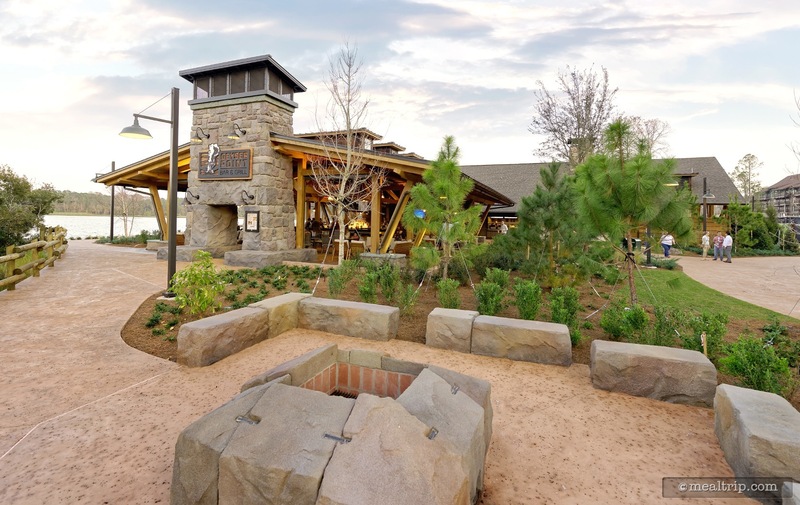 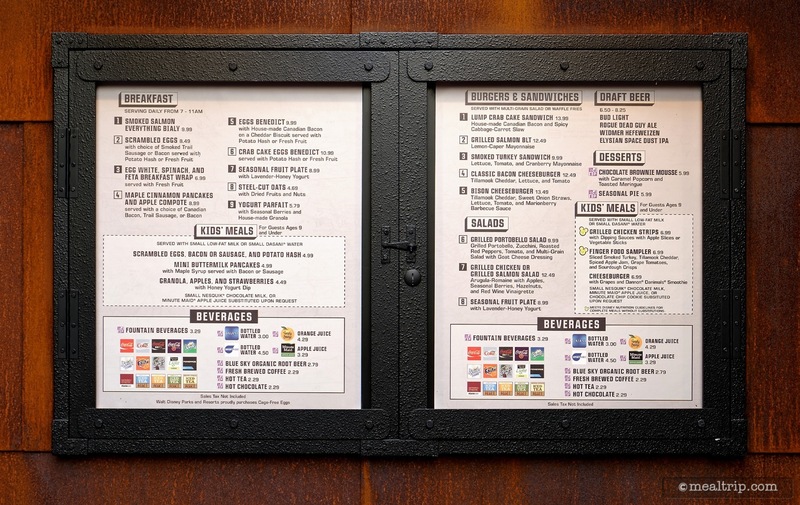 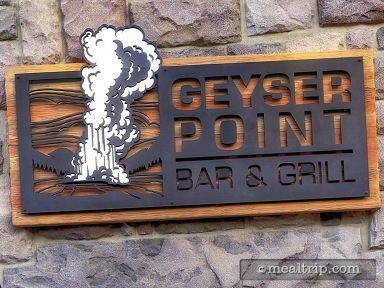 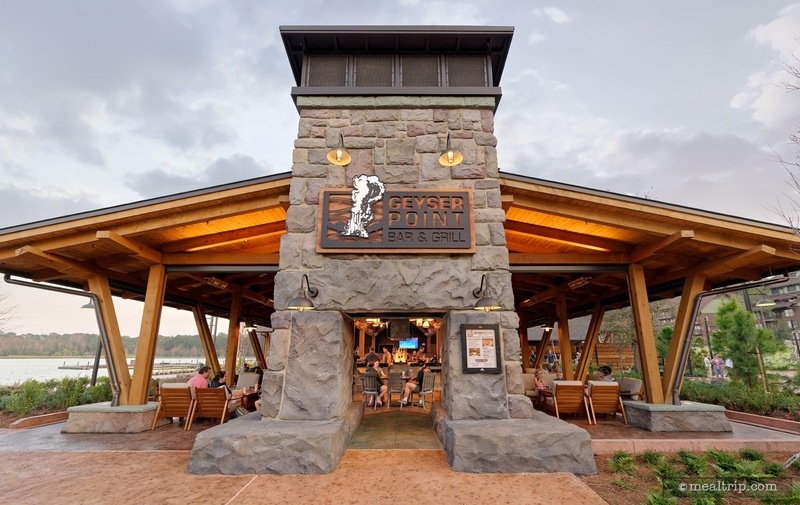 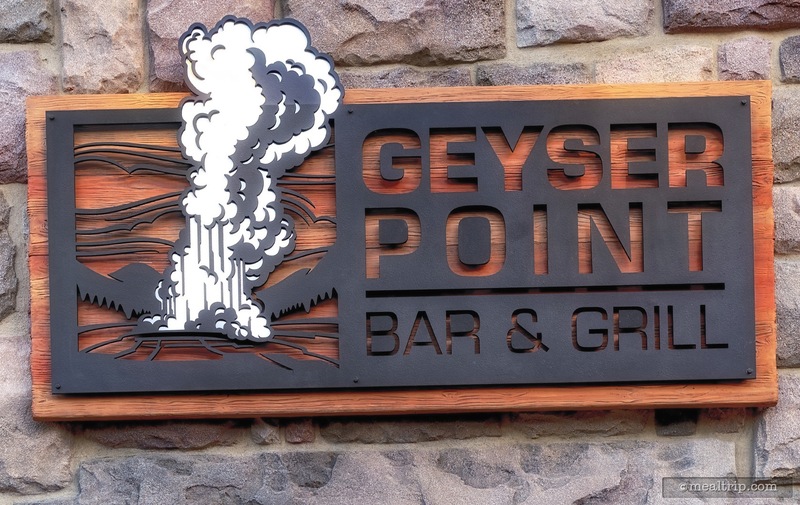 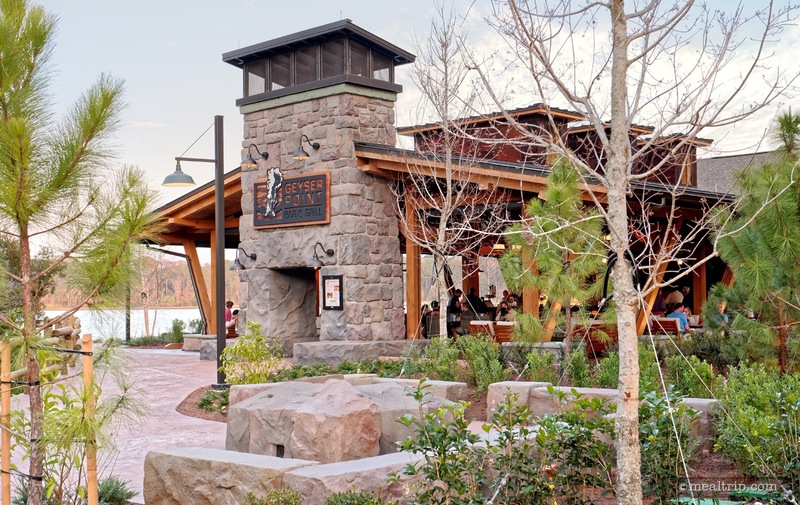 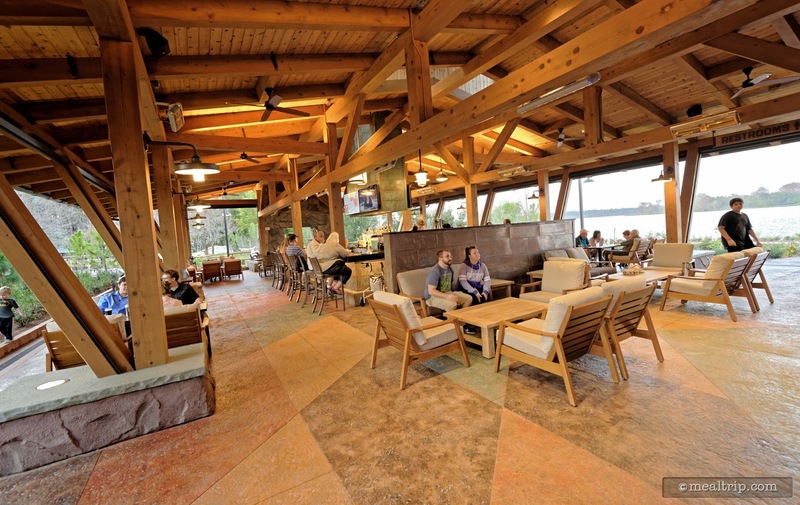 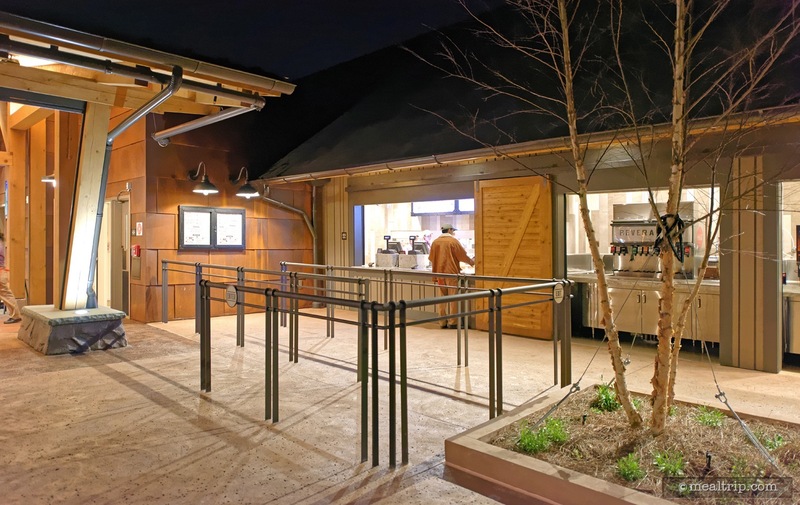 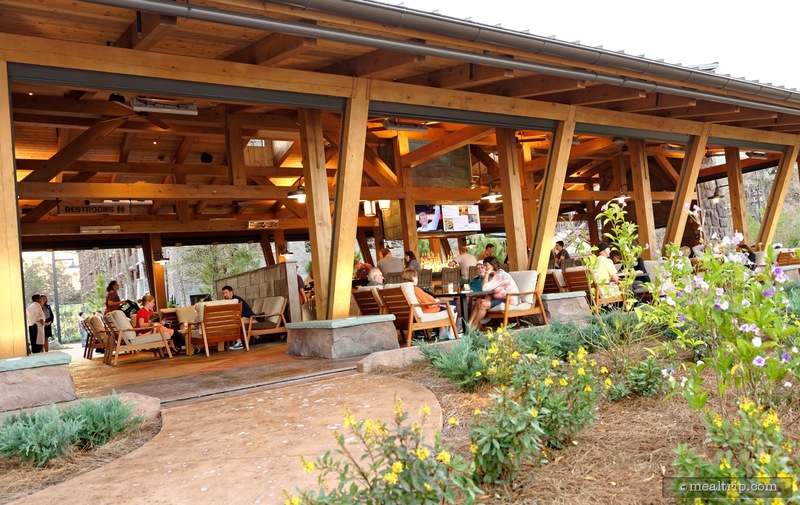 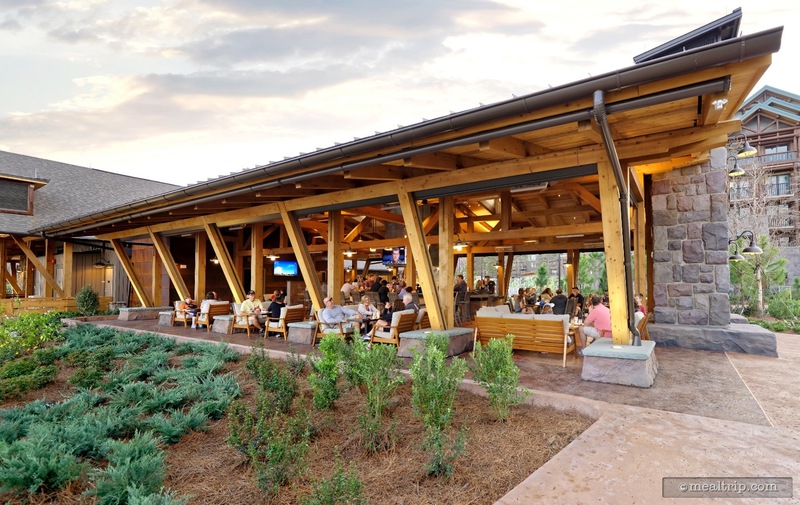 The Geyser Point Bar and Grill is located along the water's edge (at the very back of the Wilderness Lodge resort) and features design elements from the Pacific Northwest region. 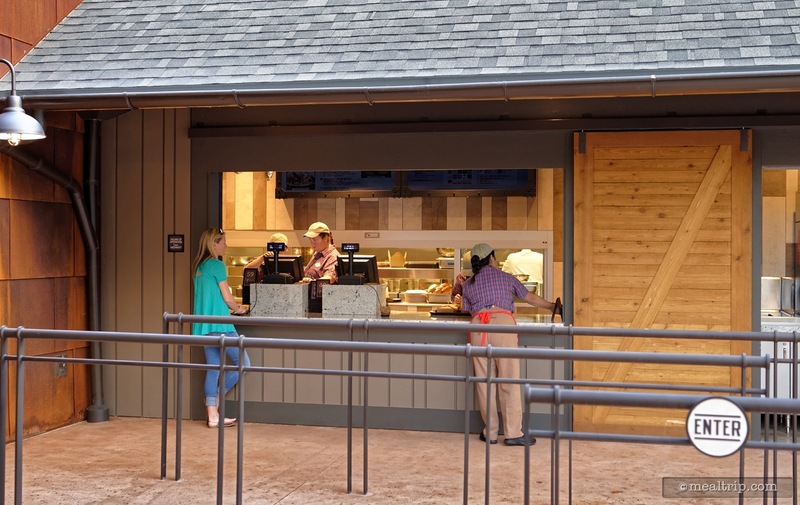 Breakfast options are offered from 7am to 11am, and covered seating is available in the very nearby Geyser Point Bar/Lounge area (because the "lounge" isn't open until 11am). 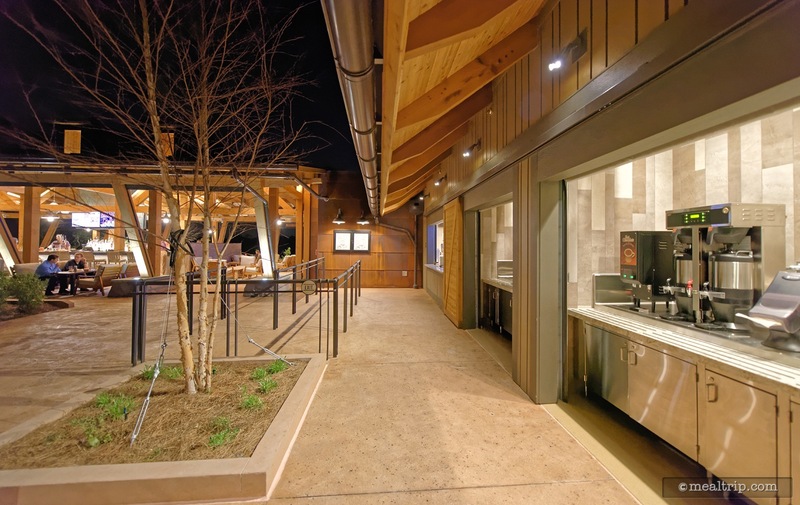 CLICK HERE to view all 11 images in our photo gallery.